Volunteer probation officers can be assigned to any one of 883 probation districts (as of April 1, 2010) nationwide where they engage in rehabilitation services such as implementation of probation/parole supervision and crime prevention activities, etc. Fig. 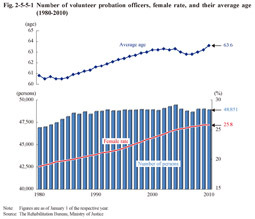 2-5-5-1 shows the number of volunteer probation officers, female rate, and their average age over the last 30 years. The Volunteer Probation Officer Act (Act No. 204 of 1950) stipulates that the number of volunteer probation officers shall not exceed 52,500. 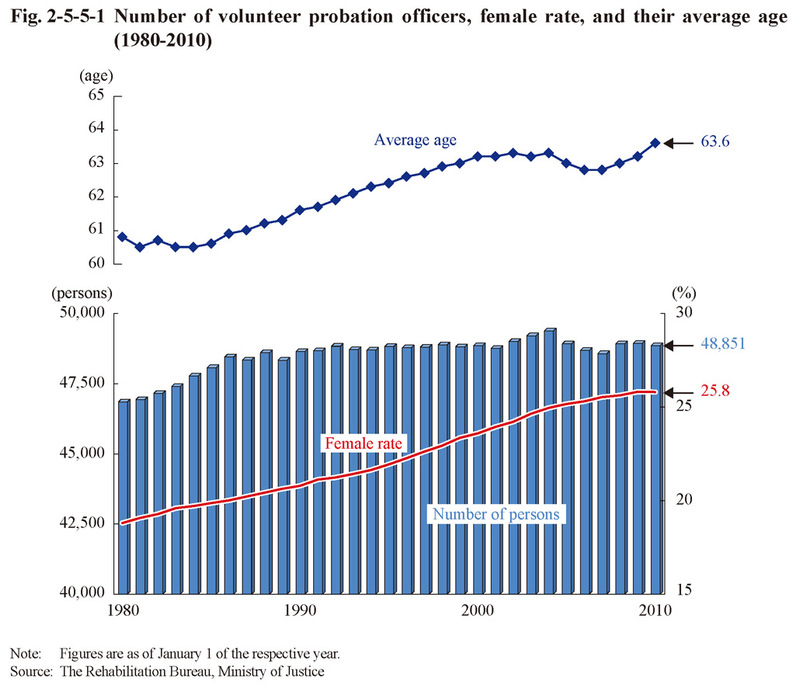 As of January 1, 2010, the number of volunteer probation officers was 48,851, of whom 12,585 (25.8%) were females. The female rate has consistently been increasing. 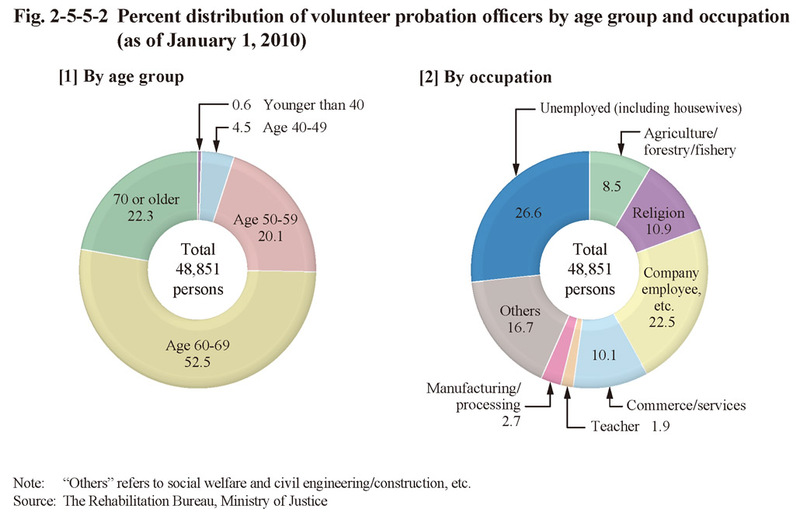 As of the same date the average age of volunteer probation officers was 63.6 (Source: The Rehabilitation Bureau, Ministry of Justice). Fig. 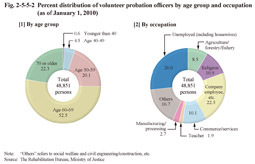 2-5-5-2 shows the percent distribution of volunteer probation officers by age group and occupation as of January 1, 2010. By age group those aged 60 or older accounted for 74.9% while the proportion of those aged 49 or younger was 5.1%. By occupation the proportion of unemployed persons (including housewives) was the highest, followed by company employees, etc. Those involved in religion or engaged in commerce/services were also common.